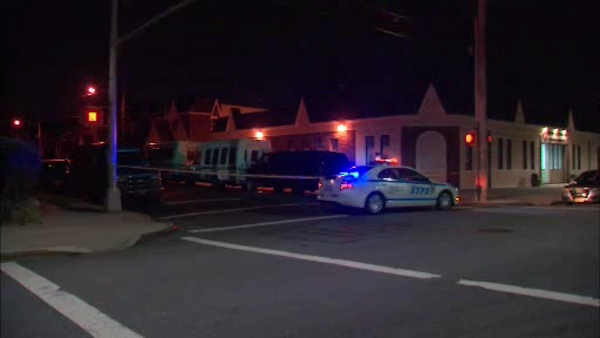 ST. ALBANS, Queens (WABC) -- An off-duty correction officer was shot in the leg during an apparent robbery of his chain in the St. Albans section of Queens early Monday. The 40-year-old officer was approached by two men on 113th Avenue just after 1:15 a.m., authorities say. One pulled a gun, shot him in the right leg, and stole his chain. The off-duty officer fired his service weapon twice, but did not hit either suspect, according to police. The victim was taken to Jamaica Hospital in stable condition. The suspects fled eastbound on 113th Avenue in a silver Audi.